Focused exclusively on the most glamorous of all racing competitions, this fan favorite highlights the great battles in the challenge for the World Drivers' Championship and the Constructors' Cup since they began in the 1950s. 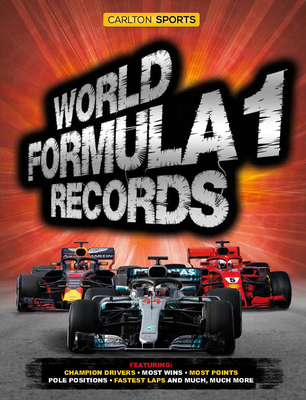 Along with fantastic action photographs, World Formula 1 Records 2019 features hundreds of stories, statistics, lists, and tables covering the legendary drivers, teams, and tracks. Bruce Jones, a former editor of Autosport magazine, is one of the most respected commentators and reporters on the international motor racing scene. As well as this annual guide, Bruce has written numerous other books, including Formula One Circuits from Above, World Motorsport Records, Formula One: The Illustrated History, Grand Prix Yesterday & Today, The Treasures of Formula One, and The World of Formula One.